This listing is for the Anderson SB50 Flush Mount itself it you require the mount and dust cover have a look at my other listing. Links below Mount and dust cap [https://www.ebay.com.au/itm/323776187419] (https://www.ebay.com.au/itm/323776187419) Mount, dust cover and Sb50 plug [https://www.ebay.com.au/itm/323776191348] (https://www.ebay.com.au/itm/323776191348) Dimensions: 48mm width x 65mm length x 35mm height You will receive: 1 x 50Amp Anderson flush mount. All parts are ---Printed in PETG plastic. ---Due to the material limitation, please contact us if you need the part in any specific color before placing the order. ---Black is the default color that will be sent. This is a 3D printed item and may have minor visual imperfections. 3D Printers build items from bottom to top in layers so they will have visual layer lines in them. Max Power 250W. Monocrystalline cells are the highest efficiency cells available in the market. This panel has diodes built-in enabling it to work in the shade. Diodes also prevent reverse charging when solar panel is not working such as during the night. High quality! Up to 1600 cycles! AGM Technology! 5in1 50Amp Anderson Compatible Plugs. 10X Anderson Plugs. In addition, two embedded circuit breakers help to prevent any accident faults or improper. Retaining strap and anchor points with screws included. Dual 5V USB sockets(1A/2.1A) and 12V plastic CIG socket for charging your devices. Plugs are compatible with other Grey Anderson Style 50A connectors. Solar Panel. 10 x Anderson Plugs. Suitable for Solar Panels, Dual Battery Systems, Caravans, 4WD, Fridges etc. Colour: Grey. Genderless Connection. Plugs are compatible with other Grey Anderson Style 50A connectors. 20 x Anderson Style Plugs. Suitable for Solar Panels, Dual Battery Systems, Caravans, 4WD, Fridges etc. Colour: Grey. Genderless Connection. Plugs are compatible with other Grey Anderson Style 50A connectors. Suitable for Solar Panels, Dual Battery Systems, Caravans, 4WD, Fridges etc. 6 x Anderson Style Plugs. Colour: Grey. Genderless Connection. SUPERB QUALITY & PRICE! OVER 9000 SOLD AUSTRALIA WIDE! Trending at AU $262.22eBay determines this price through a machine-learned model of the product's sale prices within the last 90 days. New listingFord ranger ute water tank. Ranger water tank.Suits models 2012-current model.Will also fit Wildtrack, 25 liter capacity. Fills unused space above spare wheel. All mounts and hoses supplied with instructions for easy fitment.Made from Polyethylene roto moulded to 5mm thick. Suitable for drinking water. Internally baffled Cad designed ensures perfect fit. Great addition for campers, hunters, and fisherman. Unit will fit tray utes also. Can be installed in about 20 minutes. These tanks will fit with 33 inch wheels, also 3inch exhausts. Tanks will also fit with ARB rear bars, Iron man bars and many more. After market suspension is also no problem. Please email for more information. Addition to its rights under the Personal Property. Supplier then the Supplier or the Supplier’s. its behalf and with its authority. been made;. its successors and assigns or any person acting on. shall cease;. Trending at AU $80.49eBay determines this price through a machine-learned model of the product's sale prices within the last 90 days. Small Truck, Big Truck, Light Truck, Heavy Truck, Pickup, Van,Bus,Car,SUV, Boat, Caravan, Forklift, Electric Tricycle, Engineering Vehicle, Yacht. 1 x Parking heater. 1x 10L Plastic Tank. 1 x Oil pump connection wire. Specifications: Heater Power: 5KW Fuel Gasoline:Diesels Car Air Conditioning Type: Heating Rated Voltage:12V Fuel Consumption(L/h):0.64 LCD Display: Digital Thermostat with Temperature Control（2018 Newest） Working Temperature of the Heater:-40℃~ 50℃ Working Temperature of the Oil pump:-40℃~ 40℃ Color: Black white Package: 1X 5KW Diesel Heater 1X Air intake Cover 1X Mounting Plate 1X Shock Pad 1X 10L Plastic Tank 1X Air Intake pipe 1X Exhaust pipe 1X Fuel Pump 1X Fuel Pump Shock Clip 1X Fuel Pickup for exsiting tank 1X Diesel Filter 1X Fuel Line 1X Wiring Harness 1X Digital Thermostat/Controller 2X Duct 2X Vent 1X Installation Kit 1X Exhaust silencer 1X Air Fliter 1X Remote Control Other Screw. 2 YEAR WARRANTY covers anode manufacturer, specifically the weld and construction of the steel nut . Hot water units: Suburban hot water systems. Caravans and RV's. NOTE: Price is for TWO (2) anodes. Trending at AU $21.54eBay determines this price through a machine-learned model of the product's sale prices within the last 90 days. Electrical Protection: Thermal overload shutdown – auto reset. Electrical overload shutdown – auto reset. Solar ready – no need for a separate regulator or relay. Solar Input: 27 VOC max. (open circuit – no load). For more than a decade, Milenco towing mirrors have led the market, outperforming all others in comparative product tests. The Milenco Aero towing mirror is totally new for 2007. Every year since the mirror has been updated and improved to keep this product at the head of the market. Trending at AU $105.71eBay determines this price through a machine-learned model of the product's sale prices within the last 90 days. Self priming function. Amp draw: 3.5A. Volts: 12V. 1 x 12V 4.3Lpm Water Pump. Don't use to pump flammable or explosive fluids, including gasoline, fuel, oil, kerosene. LOVE Earth You Can Make It . Trending at AU $22.31eBay determines this price through a machine-learned model of the product's sale prices within the last 90 days. Adventure Kings Dual Battery System Smart Isolator and Heavy Duty Cables. Smart Battery Isolator max amperage 1 x Smart Battery Isolator with mounting screws. The Adventure Kings Dual Battery Kit automatically isolates your cranking battery - Eliminating flat batteries in the bush and enabling you to run your camp lighting and 12v accessories for longer! Plugs are compatible with other Grey Anderson Style 50A connectors. Solar Panel. 20 x Anderson Style Plugs. 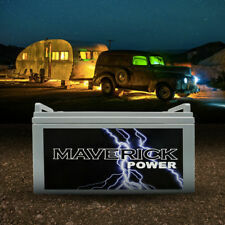 Suitable for Solar Panels, Dual Battery Systems, Caravans, 4WD, Fridges etc. Colour: Grey. Genderless Connection. 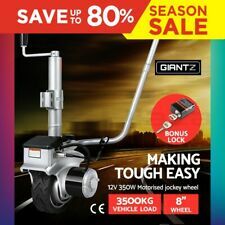 3.5 TONNE "Easy Fit' Caravan Automatic Coupler. Caravan Hardware. The whole kit includes: Coupler, receiver, laser-cut ratchet handbrake, stainless steel locking hitch pin, yellow magnetic sight marker and fitting instructions. Our Van RV Pty Ltd. Our phone number can be found on our website. Account details for direct deposit. Superior 82L UNDERBODY WATER TANK. Box Trailer / Jet-Ski Trailer. Material : Food Grade HDPE Plastic ensure the non-toxic water quality. DIY Trailer Kits. 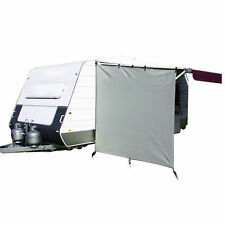 Suits CARAVAN CAMPER TRAILER MANUFACTURERS AND 4WD. Trending at AU $107.10eBay determines this price through a machine-learned model of the product's sale prices within the last 90 days. HUGE 3500KG Max Vehicle Load, Auto Brakes, Easy to use! 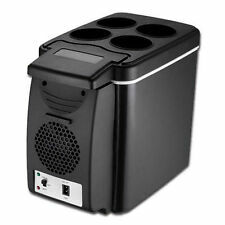 12 Volt Large Portable Stove | Easy to setup and use | Heats food in just 3 minutes. 1 x 12 Volt Large Portable Stove. It plugs into a 12V cigarette lighter socket in the car. Heats food in just 3 minutes. BUBBLE LEVELER. 2x T Bubble Leveler. Designed for leveling a caravan, campervan and camper. Two pre-drilled holes allow to fix it with screws. Convenient to use and carry out. Model: 10903B2. Warranty does not replace parts that are expendable or considered as normal wear consumable: specifically the vinyl travel cover. Trending at AU $3.65eBay determines this price through a machine-learned model of the product's sale prices within the last 90 days. Milenco Aero3 Convex Towing Mirrors. For more than a decade Milenco towing mirrors have led the market, out performing all others in comparative product tests. This mirror also complies with the very latest pedestrian safety laws and is engineered to minimise injury in the event of an accident. Trending at AU $99.92eBay determines this price through a machine-learned model of the product's sale prices within the last 90 days. Even for the most experienced campers, a connection to the rest of the world can still be important when away from home. If you own a caravan and have been out on extended trips, you might realise the value of having a TV antenna with you for your adventure. 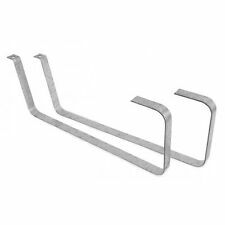 There is a range of caravan TV antennas available on eBay everyday so you have don't miss your television when out on the road. The advantage if you have a caravan is that you have the option of taking a reasonable sized television with you. 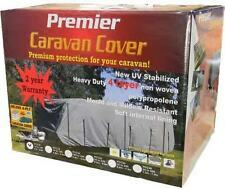 But this means you will need a caravan TV aerial that will allow you to actually use your television. No point having a television without the tools to use it! TV antennas and dishes for your caravan come in a number of different options and have different limitations. When choosing your caravan TV antenna, you need to be aware of the purpose for which you want to use it. If you are looking to go on an adventure to the rural countryside, the coverage of the caravan TV aerial will be important. By choosing the appropriate caravan TV aerial, you will be able to get coverage for your television in a variety of different landscapes and caravanning areas. Alternatively, if you are looking to have coverage for a range of caravan other vehicle electronics and GPS, you may want to consider a satellite dish. The satellite dish will have a wider level of coverage than a caravan TV antenna. As you look through eBay, check out the specifications so you can find the best solution for your intended expedition. For simple purposes like television coverage, you will have an economical companion in the caravan TV antenna. You can find caravan TV antennas that are easy to install and offer compact storage. Jump onto eBay today and explore the range of caravan TV antennas!